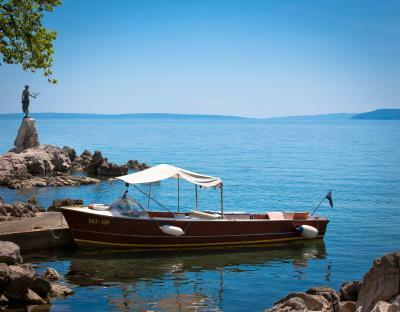 Excellent location with great views of the Adriatic sea. Very close to the water and walkway. Walking distance to all restaurants and stores. Remodeled since our last visit. Breakfast is very good too. The view from our balcony was incredible! Perfect place to walk the promenade into town from. Spent the afternoon swimming and lounging by their private beach access. Breakfast and dinner which were included, was surprisingly yummy. Plus there is free-flowing wine and beer at dinner! Everything. The room was great, everything was clean. The food was awesome. Personnel was friendly. The hotel should have definitely had more than 3 stars. Perfect location directly at Lungomare with own shore of about 20-30 meters. Excellent Breakfast. Lots of restaurants nearby. We spent just one night on this hotel at very short notice (we booked just 3 hours before we arrived). Late night Check-In (23:30) was no problem. We had a room in the 2nd floor and it was really good. The bed was extra-wide and very comfortable. The room and the bathroom were really clean, nothing to complain! Breakfast was really good as well, I didn't expect such a big breakfast. Overall I can definitely recommend this hotel. I got a room with seaview and a balcony. The view was very nice. The hotel is right on the beach. The room was great and clean. The view from the balcony was amazing. The food was great, we had an renovated room- was clean. Great view from balcony. Would definitely come back. Very good location, room with sea view, very good buffet breakfast&dinner and free drinks, very good coffee/cappuccino/hot chocolate, staff was very kind and helpful. 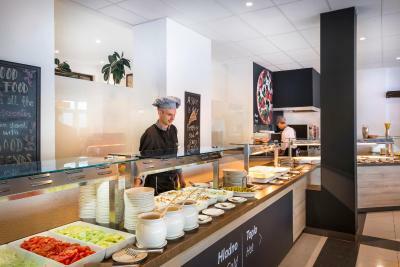 Smart Selection Hotel Istra This rating is a reflection of how the property compares to the industry standard when it comes to price, facilities and services available. It's based on a self-evaluation by the property. Use this rating to help choose your stay! 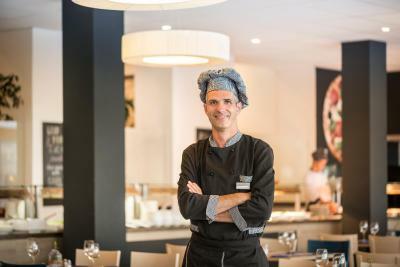 Set directly at the seafront next to the stone paved beach, Smart Selection Istra Hotel features an on-site restaurant and an indoor swimming pool with heated sea water. Just a 10-minute walk away from the center of Opatija, it offers free Wi-Fi and a breakfast buffet and dinner. All rooms are air-conditioned and consist of cable TV, a work desk and a private bathroom fitted with a shower. Some also have a balcony. You can rent sun loungers and beach umbrellas at an extra charge. 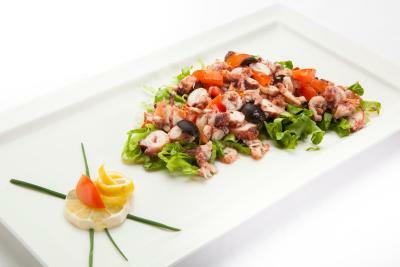 The air-conditioned Smart Selection Hotel Istra’s restaurant serves Croatian and international cuisine. Free drinks from vending machines are available at the restaurant during dinner. A national dinner with live music is served once a week. Guests of the Istra can relax at the private beach or take a stroll to the nearby restaurants and the casino in the scenic Opatija center. Opatija Bus Station is 2,800 feet away. The town of Rijeka is 7.5 mi away, while Rijeka Airport is at a distance of 28 mi. When would you like to stay at Smart Selection Hotel Istra? This air-conditioned room features cable TV and a telephone. The private bathroom is fitted with a shower and includes a hairdryer. This air-conditioned room features cable TV and a private bathroom equipped with a shower and a hairdryer. This air-conditioned room features a sea view, cable TV and telephone. The private bathroom is fitted with a shower and includes a hairdryer. 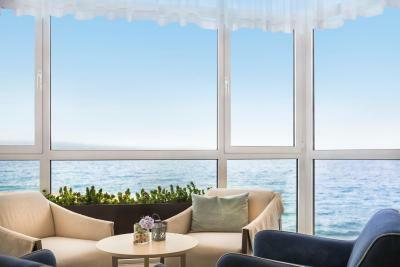 This air-conditioned room features a balcony overlooking the sea. Amenities include cable TV and a telephone. The private bathroom is fitted with a shower and includes a hairdryer. Amenities include flat-screen cable TV, telephone and safe. The private bathroom is fitted with a shower and includes a hairdryer. 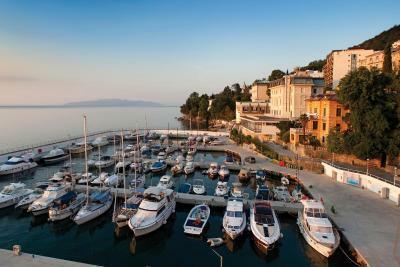 Smart Selection Hotel Istra (3*) Opatija provides seafront hotel accommodation along the Adriatic. A short walk down Opatija's main street will put you in the middle of the city center. The private beach and indoor swimming pool with heated seawater belonging to this hotel in Opatija are major draws for the economy accommodation, which has 130 rooms. 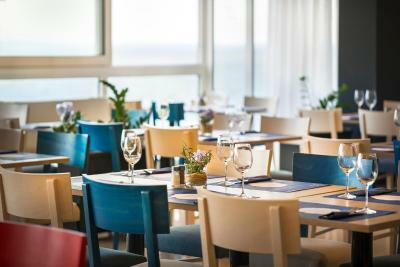 The beachside bistro and outdoor terrace supply perfect spots for casual dining or a place to get a cold drink. 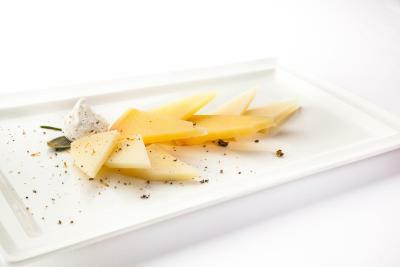 Local, fresh seafood and an extensive wine list highlight the menu. 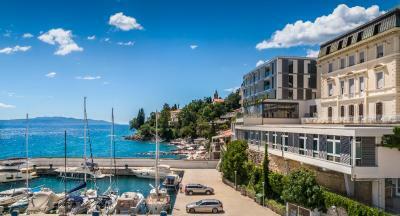 Smart Selection Hotel Istra Opatija offers the priceless natural beauty of the Croatian Adriatic Sea at economy prices. We look forward to welcoming you! House Rules Smart Selection Hotel Istra takes special requests – add in the next step! Smart Selection Hotel Istra accepts these cards and reserves the right to temporarily hold an amount prior to arrival. Please note that the service charge is 0,80 EUR per person per night and includes insurance and registration fee. Please note that photos are for illustrative purpose only. The parking option of the hotel is very inconvenient with the road system organised in Opatija. One has to do a full circle before getting to the garage, and then on the last day you have to return the parking card yourself...they could make it more user friendly and pick up the cards in the garage themselves. The rooms were very comfortable, the balcony had a beautiful view of the sea and the neighbouring town Rijeka. Our wishes were granted as we were 4 people reserving 2 rooms, so we got adjacent rooms. The staff was very nice and kind. The food was decent, with no superlatives. The outdoor swimming pool was probably out of season but it didn’t look the best however the indoor saltwater pool was very clean and warm. The room was very modern and spacious and the bed was a king sized one and comfortable. Our view was sensational! The staff were all lovely and very approachable. The food was great with lots of variety. We loved our stay! Outside pool needed cleaning. We were in the older section of the hotel which needed updating but was comfortable and a nice sea view. Parking a car is expensive but that applies to all locations in the city. Beautiful decor, view and room. The only problem is the parking, but that’s not the hotel’s fault, it’s just a cramped old city, they cannot handle all the traffic from the visitors. The front desk staff are very helpful to make this process easier than it looks. They let you unload before Directing you to the parking facility which is offsite and cost €14 a day. Very bad reception staff,not friendly at all,my son had 3 penalty charges because the reception staff gave the wrong information because about the parking.No customer care at all, not at all smiling and helpful.Very bad experience in 10 years on booking.com. Outside pool could be better. No gym. Staff was awesome, food was great, rooms were clean. Staff helped me with so many requests. parking only at garage, which is 250m from hotel, the cost is 90kn/day. Outdoor pool should be renovated. Sunbed is not free. Indoor pool is small.